In the last week of 2016, I read the Aroha Knits blog and Frenchie talked about acknowledging and celebrating her 2016 achievements. After reading her list (and everyone else’s 2016 wrap up posts) I wanted to tally up my own. Then I couldn’t think of a single thing! I knew wasn’t true. I just hadn't really kept track. So I went through a year’s worth of blog posts, my Ravelry designer profile, and random notes to figure out what I'd accomplished. 1. I published 3 knitting patterns - The Odd Couple Shawl, The Show Off Boomerang, and The Waffle Time Washcloth - in 2016 and did the ground work to release at least 3 more in 2017. 2015 was a pretty empty year with just 1 pattern release and I’m glad 2016 was more active. 2. While we’re on the topic of patterns, I’m also incredibly happy with the release of the Odd Couple shawl. After months of fiddling with the details and worrying if anyone would actually like it, Odd Couple received the best response of any pattern I’ve published! So, thank you! 3. I made a real effort to be consistent with this blog and my newsletter, With Wool Weekly, you can subscribe here. There were a few stumbles along the way, but I’m proud that I wrote, photographed, or filmed something for almost every week of the year. 4. I spun this amazing skein of handspun, and it’s my favorite skein that I’ve spun so far. I’ve picked up a few more fibers in the same vein to keep experimenting and spinning what I love. It’s a great motivation to keep learning and sharing that process with you. 5. Growth. With Wool has grown by a third (basing this math off page view and daily user analytics) during the past year. The With Wool Weekly newsletter has grown to triple digit subscribers! I’m thrilled you’re all here and I’m going to keep working hard to bring you knitting, spinning, and wooly goodness. All in all, I’m proud of what I accomplished and am buckling down to keep the momentum going in 2017. My word for the year is “Focus”. Focus on big, long-term projects. Focus on community. Focus on work. Focus on progress made through small daily steps. So what am I planning for 2017, besides from keeping better track of my achievements? More knitting patterns. Like I said above, I’ve got 3 knitting patterns in the works right now and that’s not counting all the sketches and swatches ready for the next step. I also want to reach out and submit designs to magazines. I’ve gotten plenty of “no’s” on that front. Maybe this year I’ll get a “yes”. New tutorials for knitting, spinning, and whatever else I want to share. I’m trying to branch out with more video tutorials too. Grow and engage more with the With Wool community. Overall, I want to talk knitting and spinning, share fiber arts goodness, and be more active socially. I have a few ideas about how to do this which I'll be sharing soon. Now that I’ve pulled together my 2016 achievements and 2017 goals, I’m curious about your achievements and plans. What are you proud of or looking forward too? What’s your one word for 2017? Good news! The radio silence is over. 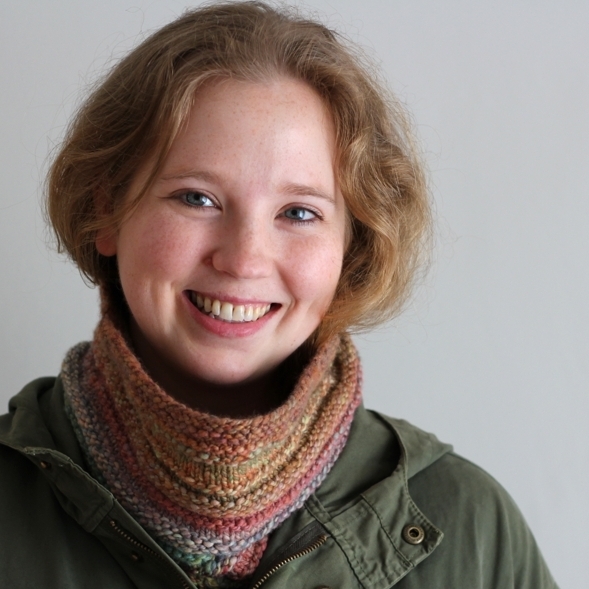 I’m back with a new site and a new name, With Wool. I’ve got lots of new things - patterns, reviews, tutorials, you name it - planned for 2015. One of those new things is a weekly newsletter about knitting, spinning, interesting links, and plenty of wooly goodness. Sign up below! I hate spam just as much as you do. With the new name, I’m taking the opportunity to take this site in a slightly different direction. Don’t worry. There’s still going to be knitting, spinning, and more wool than you can shake a knitting needle (or crochet hook) at. Over the 5 years (!) I’ve been writing this blog, I’ve wanted to talk about playing and about enjoying the process of making be it wooly or not. Most importantly though, I wanted to focus on kicking the fear of failure to the curb; of making and starting something even if you don’t know how to do it perfectly the first time. I’m not sure how well that’s shown through during the past few years but it’s coming to the forefront now. If you follow my posts through an RSS reader, click on over on check out the new site (the feed shouldn’t be affected by the switch). Let me know what you think!